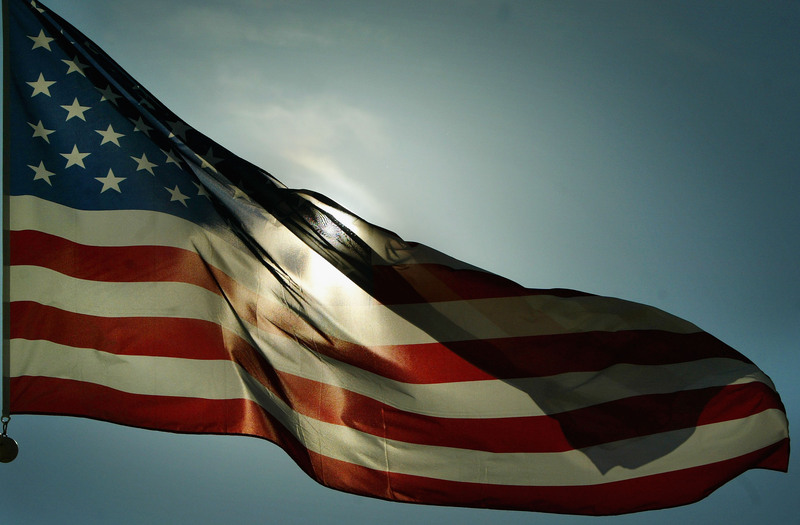 In May, the Centers for Disease Control and Prevention (CDC) put out a fascinating report that detailed the most distinctive causes of death for each state in the United States from 2001 to 2010. Similarly, Slate published a set of maps in 2014 that detail various causes of death state by state, pulled from CDC data from 2008. 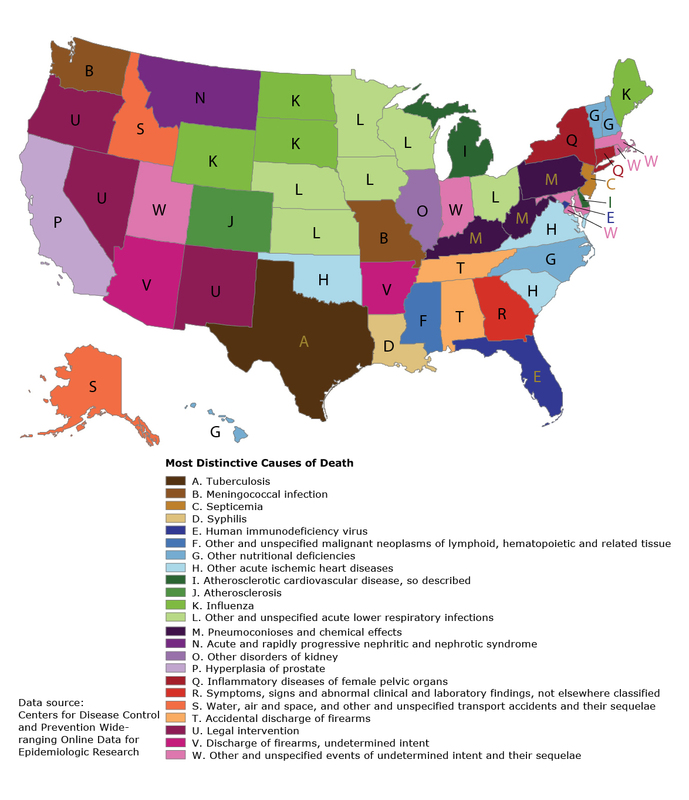 Not to be confused with the most common or most unique cause of death, most distinctive means the cause of death in the state that's the most disproportionate to the national average. In general, Americans are most likely to die from heart disease or cancer, according to the CDC. There are 42 states where the most deaths are caused by heart disease, and the remaining eight are most affected by cancer. So, why do you need to know the most distinctive cause if it's not necessarily the most common? The value of the CDC's most distinctive report lies primarily in the revelation of which disease or type of disease is killing a disproportionate number of people in each state. Distinctive diseases don't necessarily reveal how a person in each state is most likely to die, but it does reveal significant outliers and how a person's immediate environment can impact his or her health. For its study, the CDC noted the number of individuals who died from the state's most distinctive cause of death ranged anywhere "from 15,000 deaths from HIV in Florida to 679 deaths from tuberculosis in Texas to 22 deaths from syphilis in Louisiana." So without further ado, let's take a look at what you might die from compared to Americans living in other states. First, I'll list the most distinctive cause of death from the top 10 most common causes in that state. Second, I'll say the most distinctive cause of death out of any possibilities, based on the CDC's May report. Overall: Discharge of firearms with "undetermined intent"
Overall: Symptoms, diseases, and other abnormal lab results that were "not otherwise specified"
Overall: Other and unspecified acute lower respiratory infections.